Here is How You Can Make The SSH Welcome Colorful, Known as Message of the Day or MOTD on Ubuntu Server on Rackspace Cloud in Simple Way. 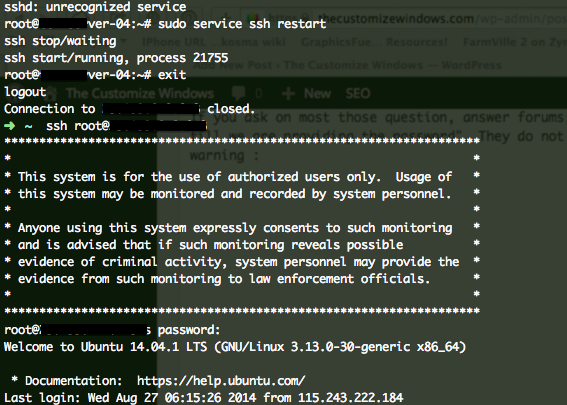 This Colorful SSH Welcome Message has specific terminology – SSH Banner. We already know the basics to change SSH welcome message from our previous guide, this time we will modify it further to get colorful one! There are some theoretical stuffs like when we run the command ssh root@ip_address, when a ssh session is connected and before the authorization till we are providing the password and successfully getting login to the server, it is handled by another daemon. After we successfully pass the password authentication, what we get usually we refer to SSH Welcome Message or Message of the Day (MOTD). We are talking about MOTD part only. Colorful MOTD Banner was once very popular! Even the high end computer and networking equipment manufacturers used to have their official tutorials. Cisco switches has dedicated banner motd command. As with the increased usage of Cloud Servers has made the usage of SSH necessary again, many users are finding resources to customize them. In the previous guide linked above, frankly we have edited one file in the /etc/update-motd.d to change the SSH Welcome Message. If we edited the file /etc/issue.net and do some change we would get things before. root@IP_address's password: – this is usually disabled on all GNU Linux! In order to change this, we need to first open the file /etc/issue.net and put things we like (it is Server Version as text by default) and save it. Then we need to open /etc/ssh/sshd_config and find out the commented out line Banner /etc/issue.net, make it active by removing that hash, save it and doing ssh daemon’s restart by running the command sudo service ssh restar. We are explaining the commands under different sub headers. # copy paste things which is kind of "Trespassers Will Be prosecuted"
Now after login, i.e. shooting the trespassers! So basically this is advanced usage of change SSH welcome message. 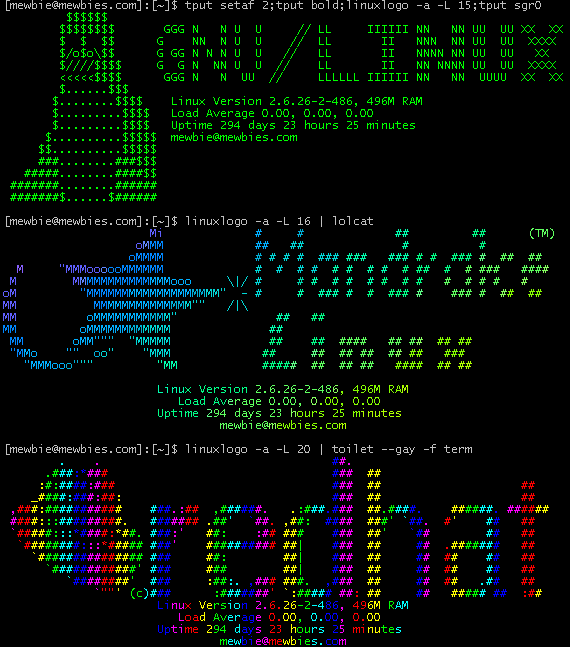 Cite this article as: Abhishek Ghosh, "Colorful SSH Welcome Message (Ubuntu, Rackspace Cloud)," in The Customize Windows, August 27, 2014, April 23, 2019, https://thecustomizewindows.com/2014/08/colorful-ssh-welcome-message-ubuntu-rackspace-cloud/.